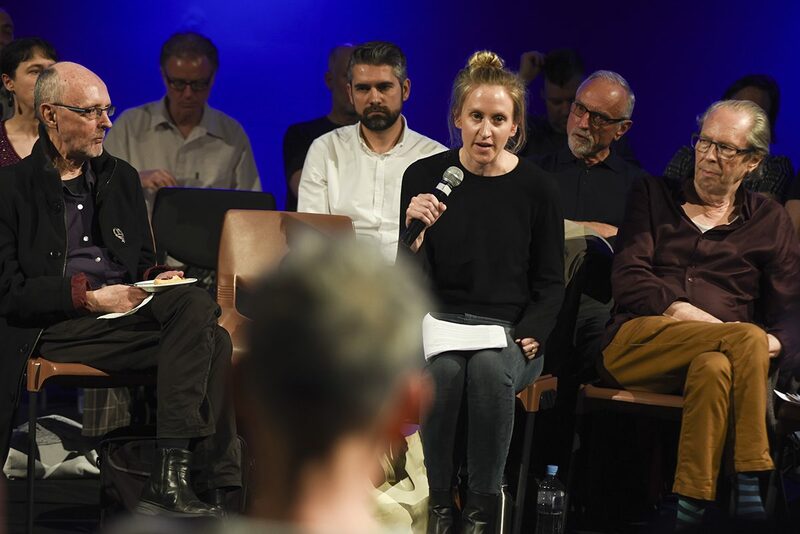 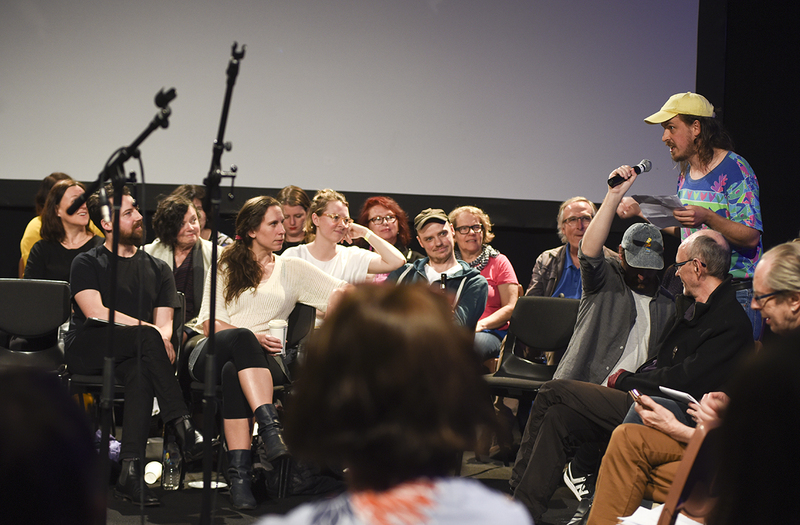 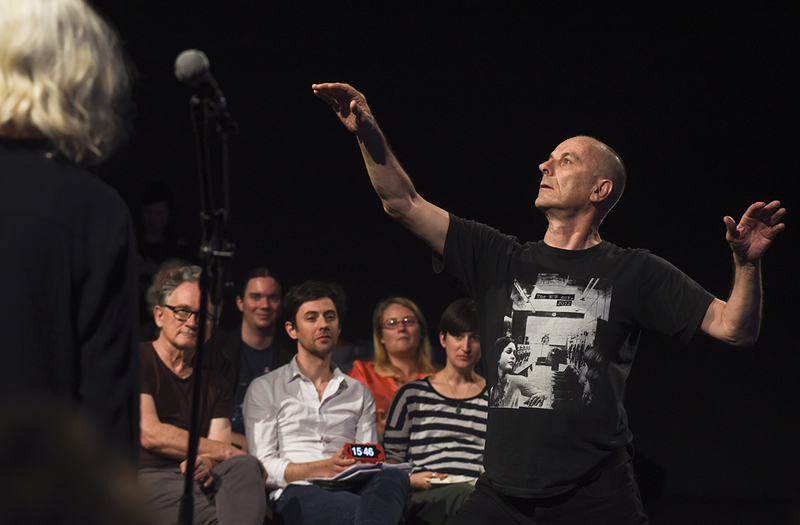 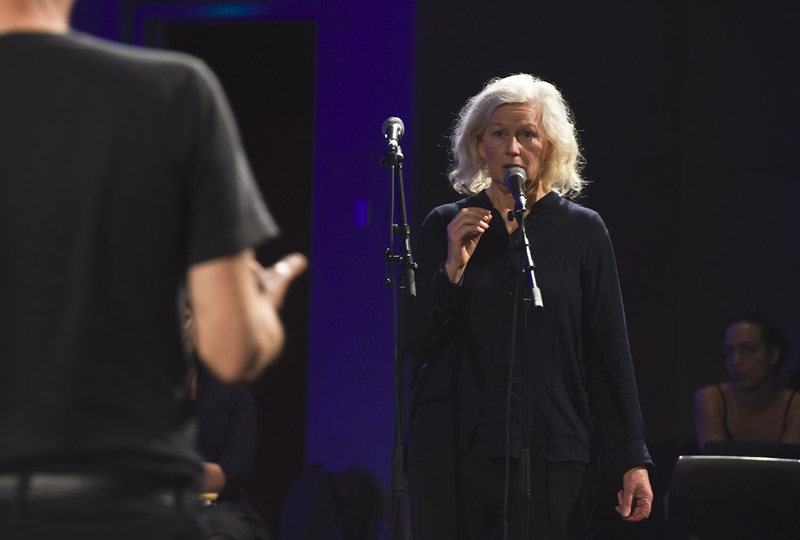 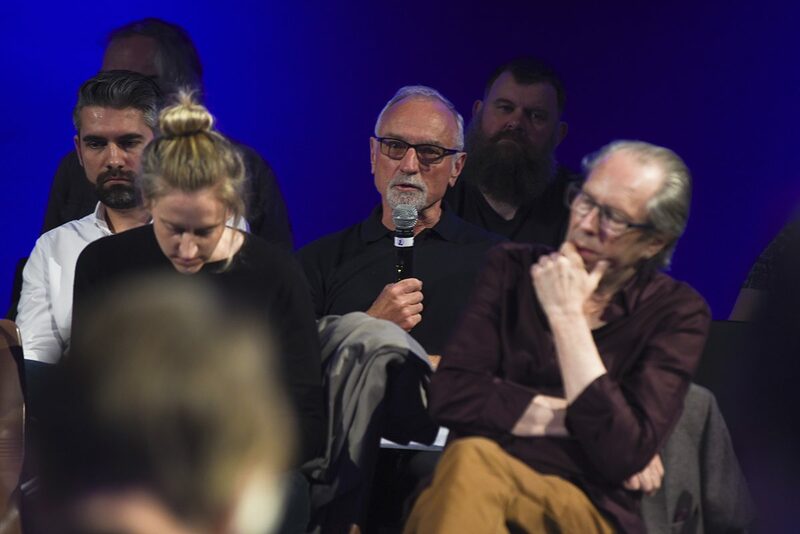 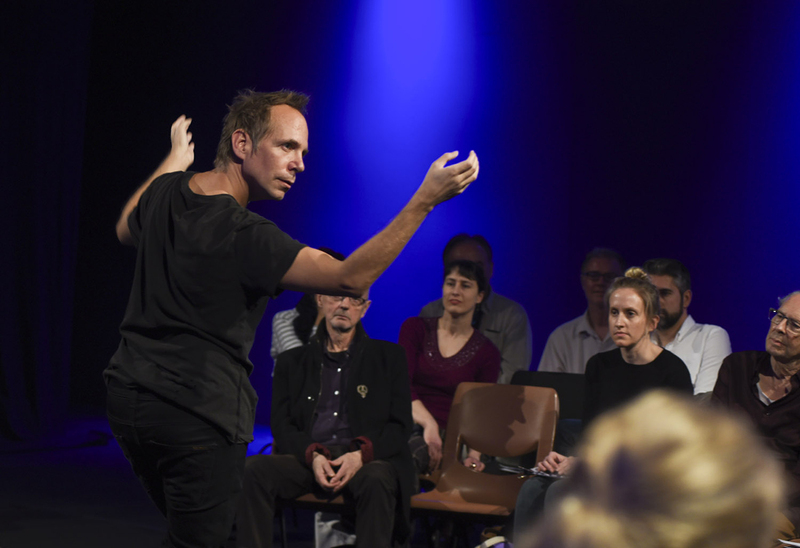 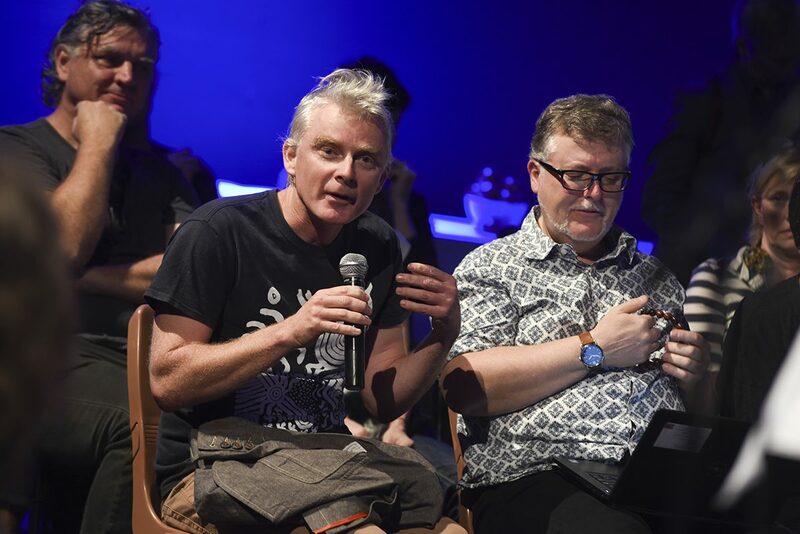 As part of Performance Space’s Liveworks, RealTime writers from around Australia gathered with artists and readers to consider the enormous changes in the arts 1994 to the present in an informal five-hour conversation that variously free-floated, hit home and entertained. 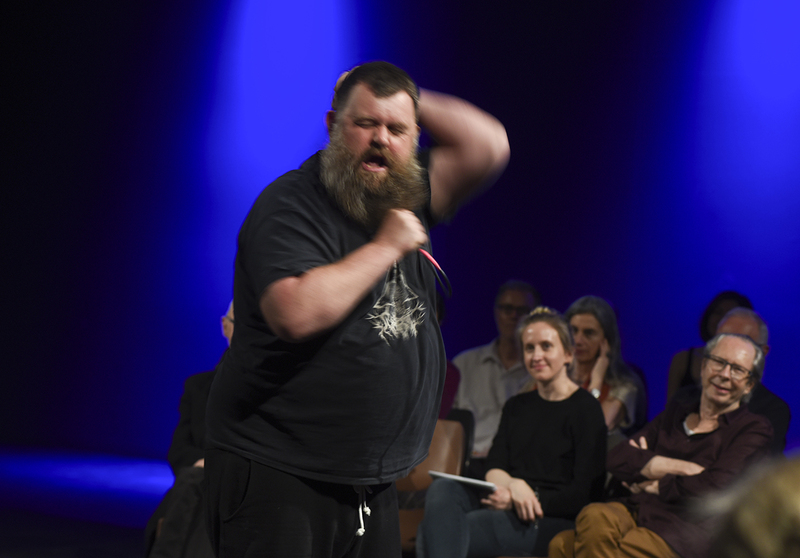 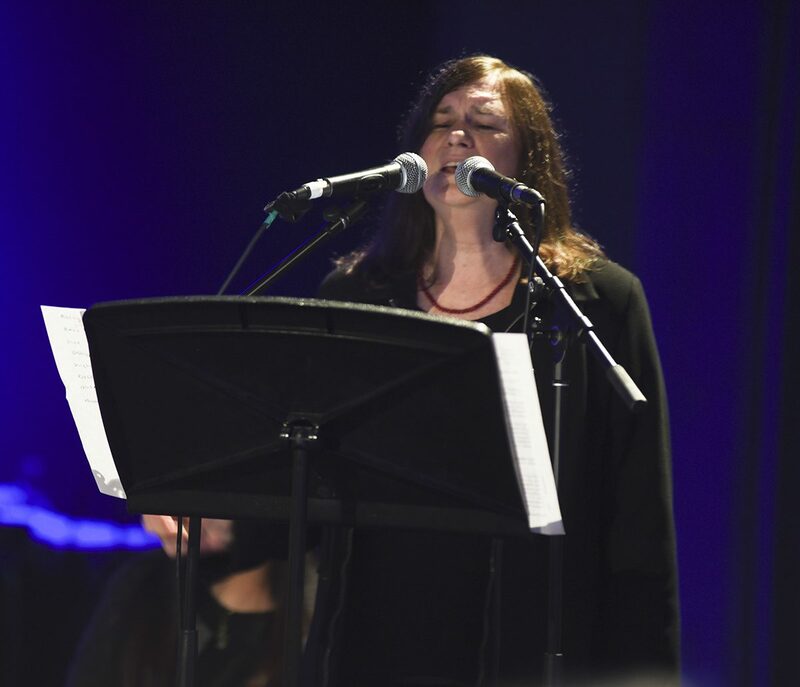 We’ll soon publish a distillation of the audio-recording, including the words from some very funny performances about performance. 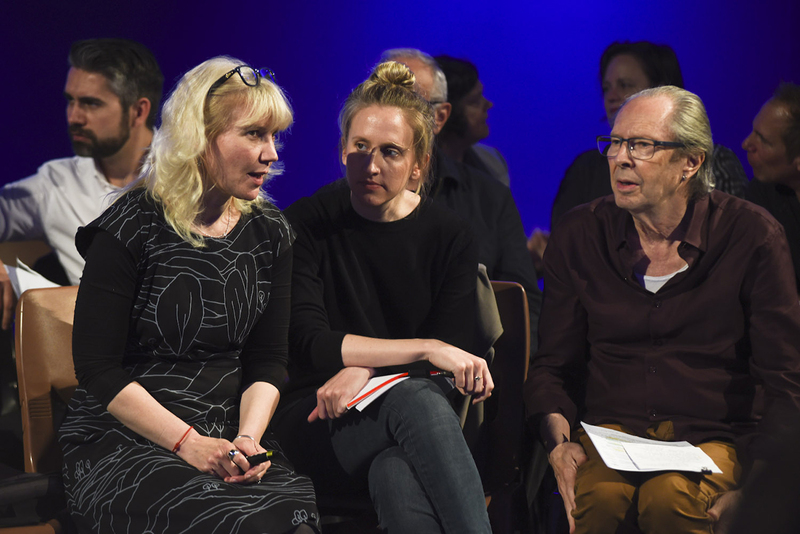 In the meantime there’s a selection below from the photographic record of the event with more to come. 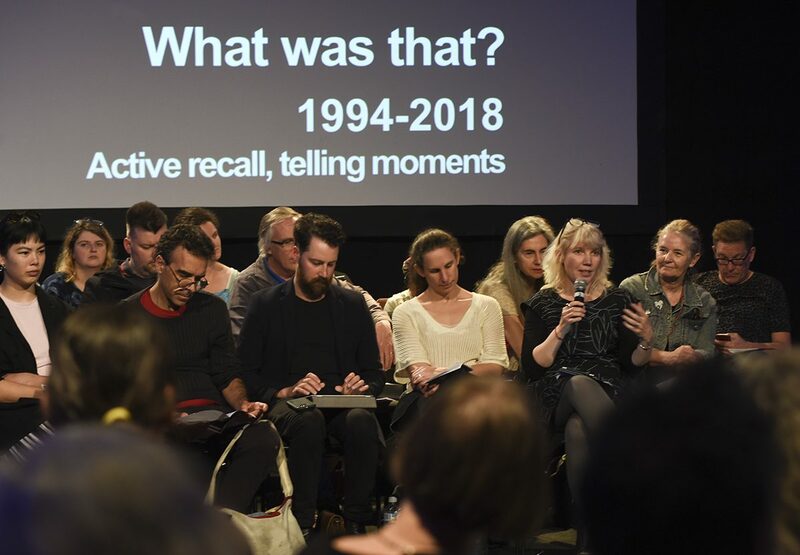 RealTime in real time was a wonderful coming together of people who had rarely or never met face to face over 25 years, who’d read each other’s writing to learn what was happening from northern Queensland to Hobart and from Sydney to Perth and many places in between. 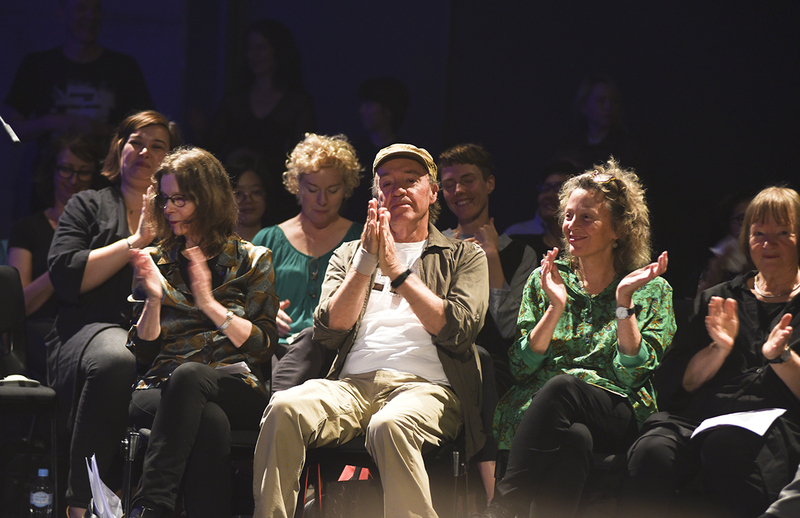 The event quickly became as much a celebration of RealTime as of the art the magazine had critiqued and supported. 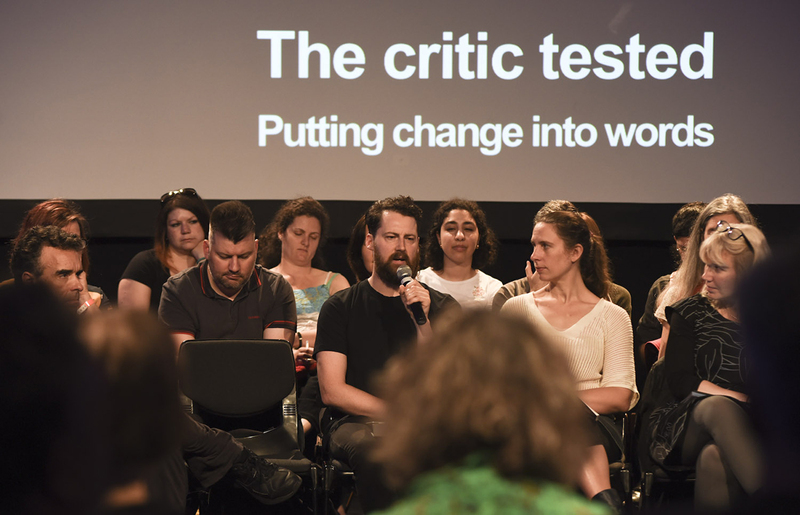 Our thanks go to Heidrun Löhr (Sydney’s beloved photographer of all things performative was interviewed as part of RealTime in real time) for the images and Performance Space for commissioning them. 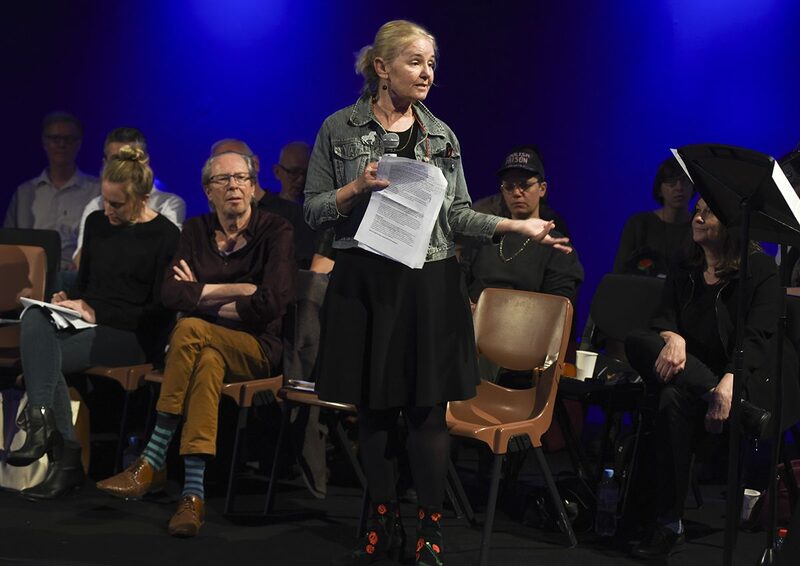 Thanks also to the Guardians of RealTime committee for their support for the event, to Caroline Wake, who presented the third of the event’s sessions and to Gail Priest for the theme ‘tune’ and technical know-how. 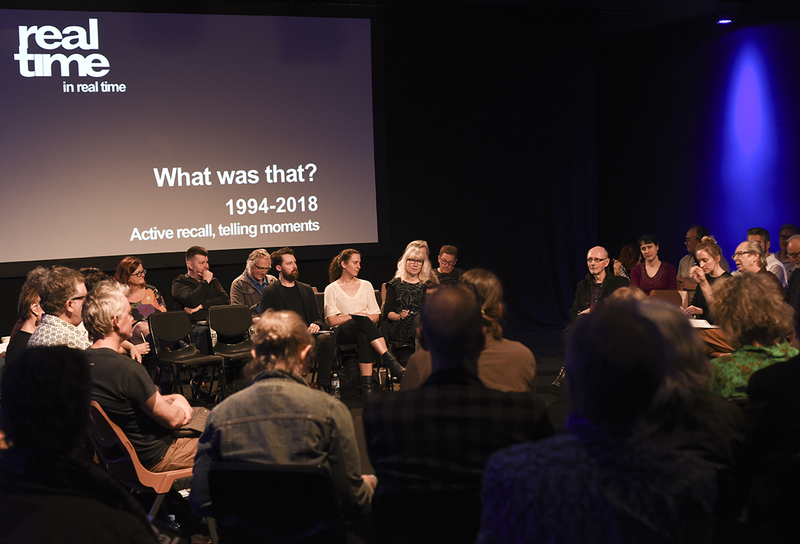 And a big thanks to Jeff Khan, Artistic Director of Performance Space, for including RealTime in real time in the 2018 Liveworks Festival of Experimental Art program.